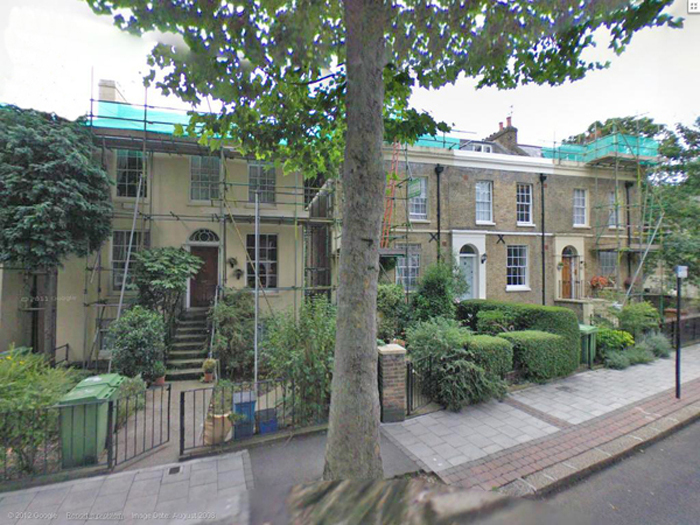 From 1945 Charles Day and his wife Florence continued to live at 23 Urlwin Street. The house had been Florence's parent's home before the War when the property was 23 Grosvenor Street. 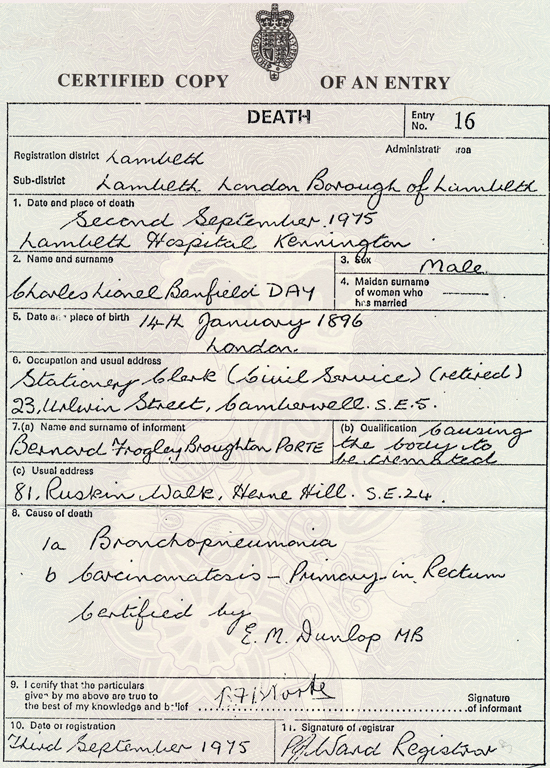 The certificate above records the death of Charles Lionel Banfield Day on 2nd September 1975 at Lambeth Hospital Kennington. He was still living at 23 Urlwin Street. His wife Florence May Day lived a further ten years until her death in 1985.